They’re synovial joints of ellipsoid/condylar variety. They’re created by heads of metacarpals and bases of proximal phalanges. 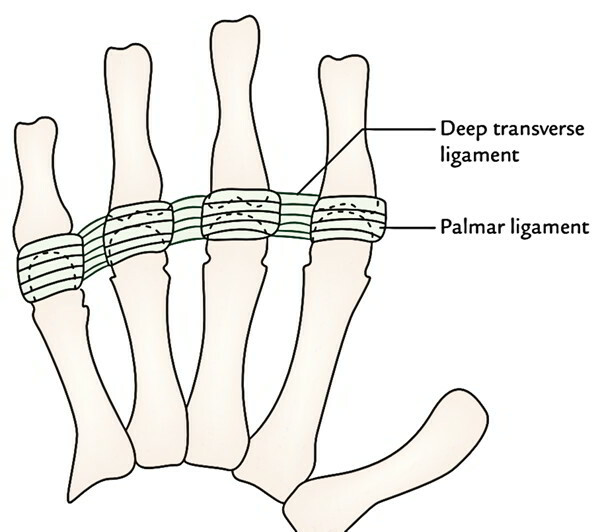 The palmar ligament is a fibrocartilaginous plate, that is more firmly connected to the phalanx than to the metacarpal. The palmar ligaments of second, third, fourth, and fifth MP joints are joined to every other by deep transverse metacarpal ligament. These are cord like fibrous bands present on every side of the joint and extend from head of metacarpal to the base of phalanx. 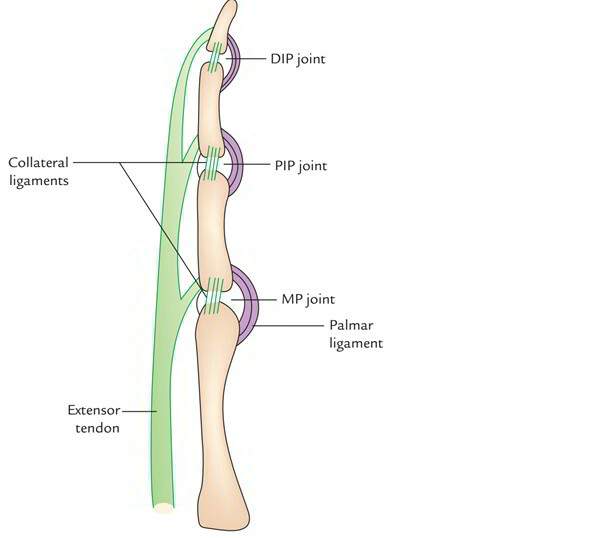 Both proximal and distal interphalangeal (PIP and DIP) joints are synovial joints of hinge variety. Their structure is quite similar to that of MP joints.